Reviews: 0 At least I can be understood, pleased!LucaM,indeed you are right about Brannah(his voice sometimes sounds terrible) and about time period and I couldn't understand why Prince Pedro is black.I was not talking about Brannah I was talking about Hamlet.Only in my opinion Gibson's Hamlet is not mine.By Zeffirelli this character is a little too wild, some kind of <>,he is open to us, a little too many gestures ( only a little because it's great Zeffirelli anyway).As I understand Hamlet is not a very sociable person and his father's death, mother's wedding and all other stuff makes him to shrink into himself even more as if there is an invisible wall between him and the other world.When I look at Reeves's charecters I always have got a feeling that while he is speaking to the other actors or doing something he is thinking his own thoughts(maybe these are some high substances,maybe he is planning a murder cannot tell for sure).Therefore it would be very interesting to see him playing that great difficult role.Maybe I would be disappointed,don't know and I shall never know already. Reviews: 0 Hi to all, and welcome, Donna J. To me the best Hamlet I've seen so far is Derek Jacobi's for a RSA-BBC production. I've also been mad about finding Keanu's version as I feel he must have been perfect in the role, but ... not on tape, as Anakin says. I agree with LucaM that Gibson's was better than Brannagh's. To me, Brannagh is a bit 'excessive'. Olivier's version is OK, but, to me, it does not portray the 'whole' play. On another note, I also feel there's something in Keanu that makes you want to hug him; it's a very strange feeling, like he's sad deep within. I can't express it through words. But there you are, another one who joins the group! We all like emo boyz. That's funny :D I thought I was a weird perv. I don't feel so alone anymore. Reviews: 0 That's not bad when that's funny!Everybody is weird a little in his own way(sometimes the others don't want to notice)!If at least one of us does not feel alone any more - congratulations to Anakin McFly! We are excellent to each other! Reviews: 1 Yes, I do in fact feel better. Like-minded strange individuals - the reason I keep coming back :)An undeniable feeling of homecoming. Reviews: 1 You're right on so many levels, Luca. 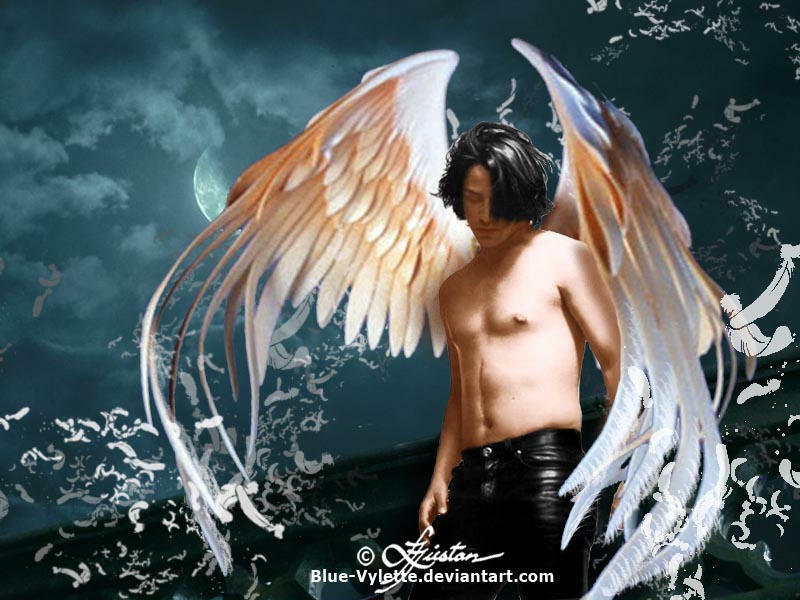 Reviews: 1 Thanks Tangerine :)There seems to be many ethereal, winged Keanu's around the interwebs. Seen this one yet? Reviews: 1 That was very demotivational, Luca - I gotta tell you :p Is pop culture curator another word for useless twit? Reviews: 2 Adrianna: yea, I think you showed me that one. :) I like the second one better. Tan, you mean the black one right?